Group Shot, originally uploaded by feltalive. Eleven Li’l felted celebrities all in a row! Pretty funny – The Li’l Beatles were the first – their scale is a bit smaller than the others but I love them just they way they are. front row – l-r Li’l Bob Dylan, Li’l Marilyn, Li’l John Lennon, Li’l Ringo Starr, Li’l George Harrison, Li’l Paul McCartney, Li’l Elvis, Li’l Janice Joplin. You are so talented! Thanks for sharing! You are absolutely brilliant with your felting people. 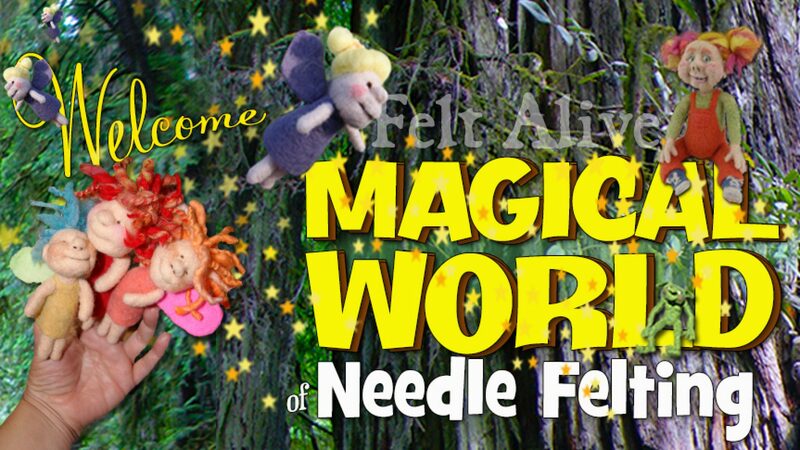 They are magical.I was searching for needlefelted bags and found your site. What a great pleasure to know I can come back again. OOOOOooohhhhhh! I just LOVE your creations!